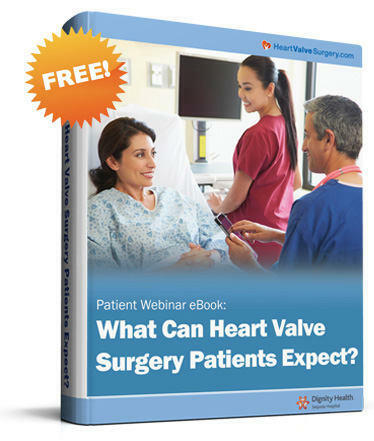 Webinar eBook: What Can Heart Valve Surgery Patients Expect? The response to our webinar, “What Can Heart Valve Surgery Patients Expect?”, has been extraordinary. Hosted by Dr. Luis Castro and myself, this 60-minute session connected over 100 attendees in real-time to discuss patient expectations before, during and after heart surgery. In case you missed the webinar, I just posted a free 53-page eBook and video playback of the event. If you are preparing or recovering from surgery, I really encourage you, your family and your friends to read this eBook or watch the webinar video. Download the free, 53-page eBook. Watch the webinar video recording. Thanks to all the patients who participated in this very interactive webinar. I would also like to extend MANY THANKS to Dr. Castro for taking the time and energy to prepare such a wonderful, educational presentation — with so many tips — for our patient and caregiver community. Also, many thanks to Joanie, Julie and Robin at Sequoia Hospital’s Heart & Vascular Institute for helping us organize and host this wonderful event. webinar was very informative as are your news letters, adam . thanks and God bless. I had good results from transoephalan echo on monday 3rd . so hoping when results come that operation will be delayed . = a result of many prayers .